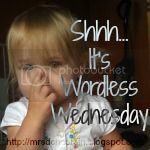 Welcome to my Wordless Wednesday Blog Hop! Above are a few of my favorite sites hosting a Wordless Wednesday blog hop. You can also grab my button as a reminder to link up every week with some of your great photos, and possibly an added word or two! Please highlight the code & press Ctrl + C to copy. You are not able to right click on my blog. Why not get every new post by me into your inbox without delay? You can by subscribing (click) here. Or you can follow me on , and if you prefer. Thank you for being my reader. Love the colours in the second shot! 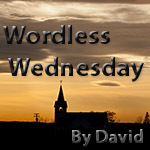 I always have too many words on the page for wordless Wednesday. Great shots! Nice photos. Very lively yet surreal. BTW, in today’s WW post I did some artsy things with my pic and in one affect I finally used one of the Christmas backgrounds you. I hope you’ll hop over to give me your opinion on my first attempt. Bright lights, big city! Fun! Love the shot of Rockefeller Center. I was born in Queens, NY and spent most of my life there. I now live on the Jersey Shore. Love the vibrance of the colors. Thanks for hosting a Linky and sharing this beautiful pictures with us. Love the building picture. Even though its in color it still give me that Noir feel. Thanks for sharing!